Blame for Nairobi’s infamous traffic jams and Kenya’s high rates of vehicle-related injury and death is regularly cast upon the “matatu culture” of aggressively-run collective transport, the massive growth in private car ownership, and the proliferation of boda boda motorcycle taxis. This talk explores how each of these factors – and the pride, frustration, and stigma associated with each – can be considered an expression of different, contesting forms of masculinity in contemporary Kenya. It is part of a larger project using ethnographies of drivers, driving practices, and a review of the “anti-politics” driving road building and transport policy in Kenya. Download the pdf from my ResearchGate site here. Rural households are networked to migrant members elsewhere in the country, who can be called upon for financial, social, and emotional support. These networks were larger than expected. Frequent telephonic contact within households seems to be decreasing the frequency with which members physically see each other, and extending the time between migrants’ return visits to the rural area. The lack of physical presence is disrupting the transmission and generation of agroecological knowledge about the rural area. Migrant men believe themselves to be quite involved in rural affairs; frequent telephonic contact constrains the already limited autonomy of female-headed households in the rural sphere. The article is part of a series of papers from a 2014 symposium on “Labour Dynamics of Agrarian Change”. SSHRC-funded research in Kenya (2015-2020) will continue to explore these issues in other settings and in greater detail. ABSTRACT: Western Kenya has been a labour-exporting region for over a century, with many households straddling both rural and urban contexts. 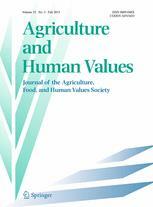 While the spatial separation of migrants from their rural places of origin represented the first tangible metabolic rift within Kenyan agricultural production systems, that rift is being reshaped as rural families engage in new forms of interconnection with migrant members (“multilocationality”). These changes appear to be driven by the ongoing crisis of agrarian livelihoods and are supported by the advent of cellphone communication and mobile money transfer technologies. Interviews and ethnographic data collected in a western Kenyan community and amongst its out-migrants reveal the role of cellphones in mediating social, financial, and knowledge flows within multilocational households. The increased ease of communicating and sending money is associated with less frequent physical movements between rural and urban settings, with commensurate disruptions in the acquisition and development of agro-ecological knowledge, and a shifting burden of agricultural labour. Gender relations are also put under further stress: migrant men remain (or believe they have remained) involved in rural affairs but appear to be using cellphone technologies to reinvent their household roles, replacing previously social or labour contributions with financial ones and by asserting claims over the on-farm decision-making of rural households previously considered female-headed. ABSTRACT: Knowledge-based development interventions for improved natural resource management have long advocated for the integration of local and outsiders’ knowledge. Participatory and conventional approaches frame this as a dialogue between “local” and “scientific” knowledges, using the relative strengths of each stakeholder’s experience to reinforce knowledge gaps. While the epistemological and methodological challenges of such dialogue are well-documented, this study uses a community-based learning project for integrated soil fertility management in western Kenya to explore the less understood dynamics of dissonance between and within knowledge systems. While participatory research did build a dynamic expertise for soil fertility management shared by both smallholder farmers and scientists, divergent expectations and understandings emerged after the initial enthusiasm of shared learning. This included scientists assessing farmers as “not very good” researchers and farmers seeing researchers as “not very good” farmers. Dissonances between actors’ different understandings of soil, the research process, and each other had multiple implications, including on the validity of conclusions reached by different actors and on the possibility for scientific support for local experimentation. While many dissonances ultimately fueled learning and improvements to the project, this required both farmers and scientists to move beyond initial critiques of each other’s knowledge and practices. At their worst, dissonant knowledge claims were actually political ones, hiding competition for control of the development process. Recognizing the nature and extent of dissonances is therefore a crucial step in understanding how best to apply limited resources and disciplinary expertise within participatory teams attempting to build hybrid knowledge.